America’s most-famous cross-country ski race now has its own museum. Located in Hayward, the Tony Wise Museum of the American Birkebeiner transports visitors back to the origins of the American Birkebeiner through state-of-the-art exhibits, hands-on activities, a three-dimensional trail model, and numerous race artifacts, including historic race films and photographs as well as oral histories of skiers, staff, and volunteers. 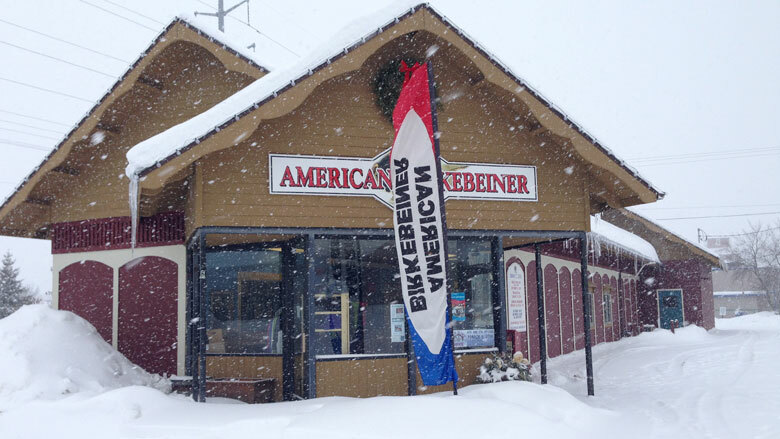 Founded in 1973 by Hayward native and museum namesake Tony Wise, the American Birkebeiner (or, Birkie) is patterned after the annual Birkebeiner Rennet ski race held in Norway. Birkebeiners were 13th century skiers, celebrated for escorting prince and heir to the Norwegian throne, Haakon Haakonsson, safely from Østerdalen to Trondheim. Wise discovered skiing when he served in Germany during World War II, and, upon return in 1947, established Telemark Resort in Cable. His vision for a cross-country ski race running from Cable to Hayward went on to be formative for both his community and the sport. Today over 13,000 skiers of all ages and abilities and 20,000 spectators from around the world gather every February for this legendary race. The Tony Wise Museum, which opened its doors in August of 2016, features many unique items in its permanent collection, including the St. Olav Medal presented to Tony Wise by King Olav of Norway in 1975 for his spreading of Norwegian culture and tradition. Much of the memorabilia in the collection—from one of U.S. Olympic medal winner Bill Koch’s steel-tipped skis to a 1988 congratulatory message to Birkie organizers from President Ronald Reagan—was donated by Birkie skiers and supporters.